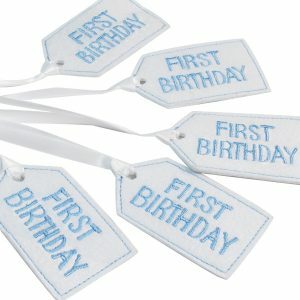 Add an embroidered First Birthday Felt Gift Tag Red to your gift. 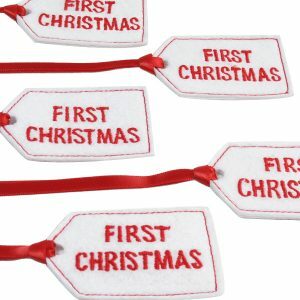 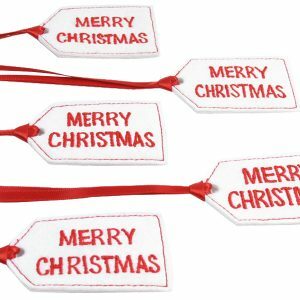 Tie the gift tag to the wrist of a baby toy or rag doll. 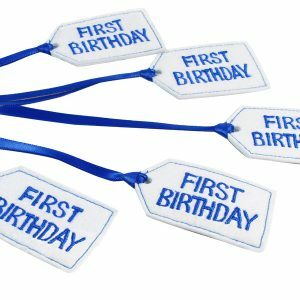 Tie them to party favor bags, balloons and gift wrapping. 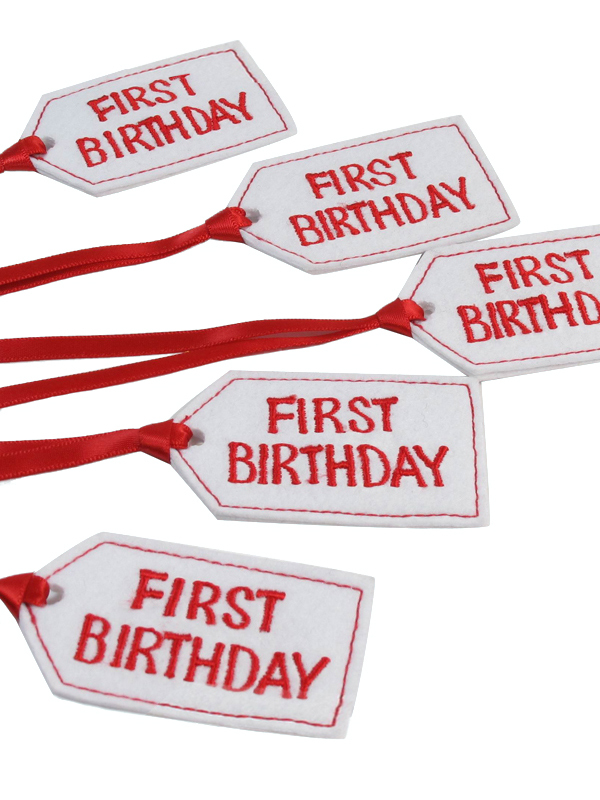 There are so many uses for Kate Finn’s First Birthday Felt Gift Tag Red!